Today's entry is a review of the custom run of Alfred Sargent's Moore on the 724 last, created for A Fine Pair of Shoes during the second half of 2015. 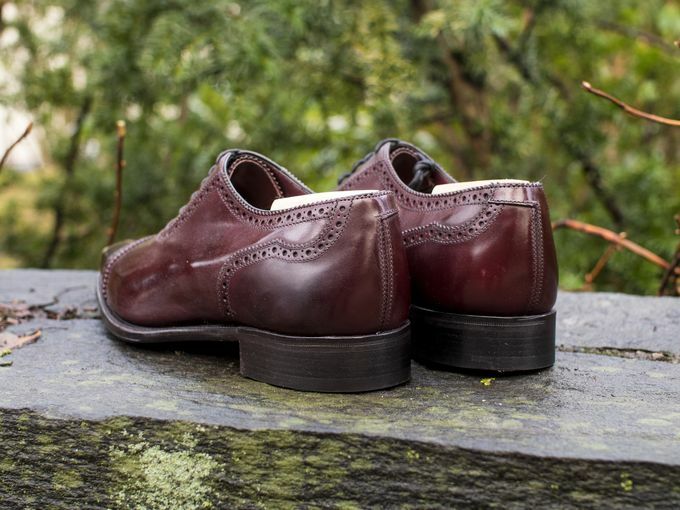 This pair, in fact, was something I had in my mind for a longer time, so when I noticed the new custom colors AFPOS had added into their selection of Alfred Sargent Exclusive range shoes I was quite thrilled. My orginial goal was to find a dark burgundy or an oxblood pair of quality Oxfords in the 400-500 Euros price range, so this model was just what I wanted. An easy decision, then. The 724 last is a squared and sleek last that has some softness to it, and like most Alfred Sargent's lasts it has quite an elegant shape created with a strong shape around the waist area of the shoe. 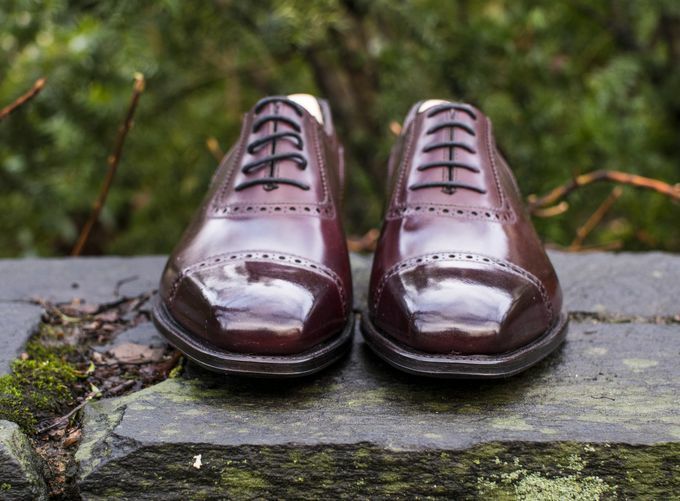 In my opinion, the dark burgundy color and a power last like the 724 fir together really well, and when you combine them with the beautiful brogue detailing found in the Moore you get one of the best-looking Adelaide Oxfords ever. A shoe like this makes a great alternative to your black and dark brown Oxfords. 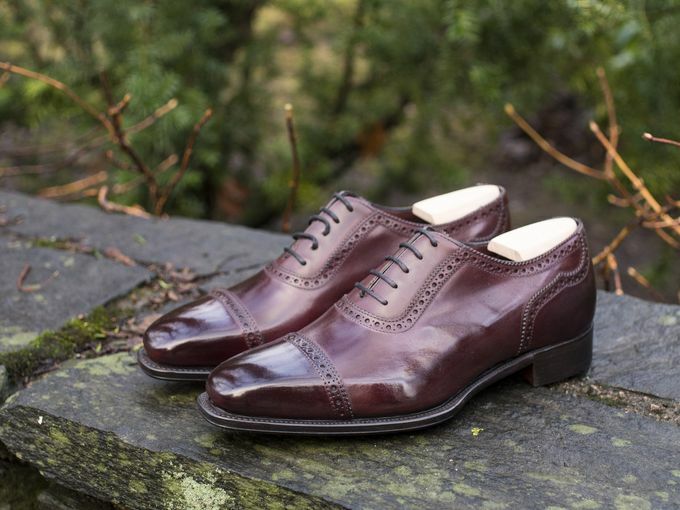 In some ways the dark burgundy color feels more formal than dark brown, and I must say it looks especially amazing during the fall and winter season (before snow). 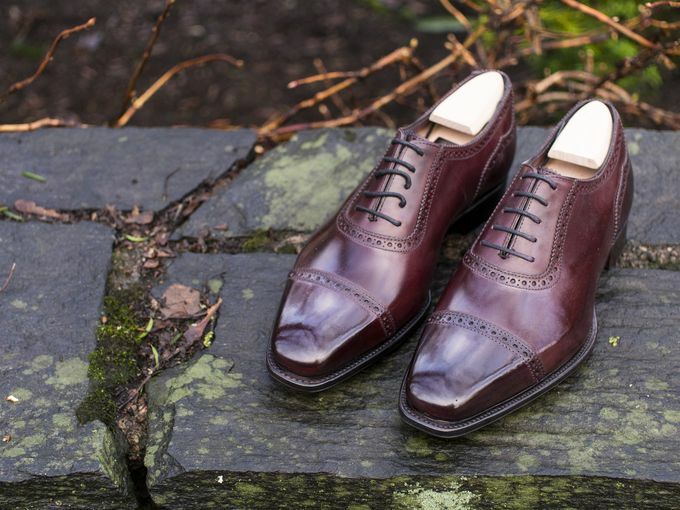 Quality wise the shoes are the regular Alfred Sargent Exclusive range quality. Great quality leather, absolutely beautiful finishing, oak bark tanned soles, beautiful dust bags and extra laces. What I personally like in AS when compared to Crockett & Jones and the like, is that most of their lasts simply have a lot more character due to stronger shapes. Additionally, while the quality of the details are about on par with the similarly-priced competitors, I really like the design choices they've taken with their shoes. 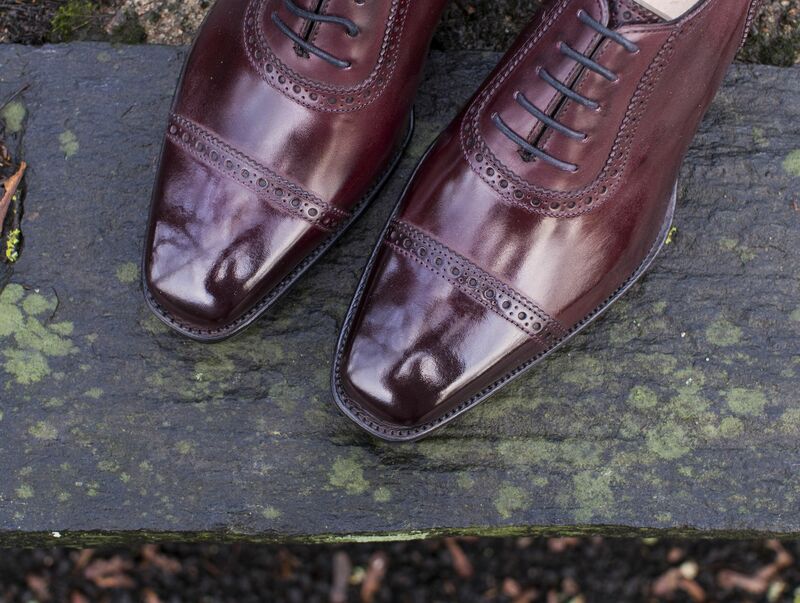 For example, if I compare the detailing on my Moores and my C&J Westbournes, there is no question which shoes have more flair. Fit wise the 724 last was roomier than I expected. I own a pair of Wildsmith Sloanes that are supposed to be similarly-sized, but they really aren't, at least in my case. The 724 feels a little bit wider at the heel which caused some problems with my somewhat narrow heel. A pair of extra soles fixed the problem after which the fit was bang on. As guidance to others thinking about buying a pair in the 724, I would say go for your normal size. It's still by no means a wide shoe, my problem usually just occurs when the heel isn't shaped exactly right for my feet. So, hopefully you'll find this text informative, I had quite a few messages on Instagram and my email regarding the shoes asking for details I've now stated in this post. I've been very happy with the pair so far and really enjoy how good the burgundy color looks with many of my suits. The leather on the vamp seems to get lighter as it gets more wear, too, so I think the shoes will create a beautiful patina over time. As a result then, I would definitely recommend the shoes if you're thinking of getting a pair like this. 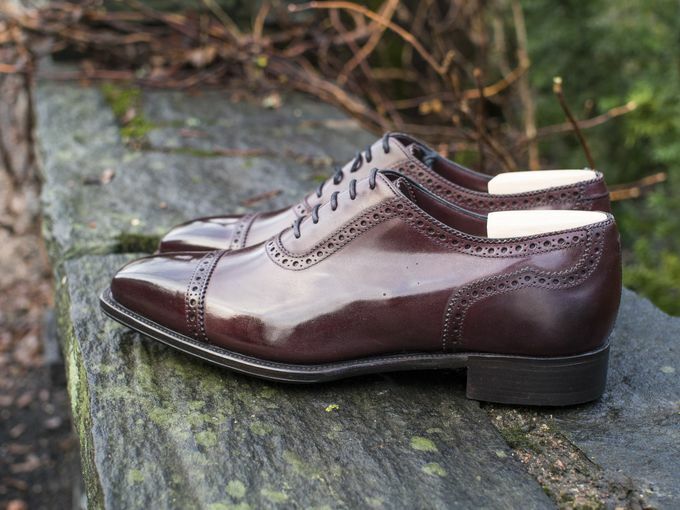 Fantastic option to be worn with a dark navy or charcoal flannel suit, if not the best.